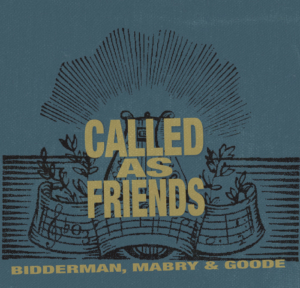 Called as Friends is a project that has been a long time coming. Over the years I have enjoyed Bob and Bruce’s songs, and even performed one of Bruce’s songs (“You are Glory”) on one of my own recordings. 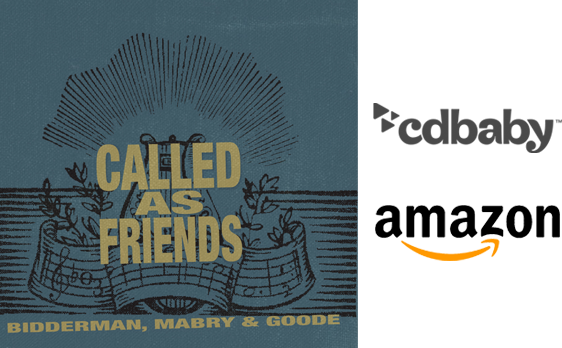 When we were thinking of what to title this project, the theme that God seemed to highlight in our hearts through the lyrics of the songs was “Called as Friends.” This title (which is also the name of one of Bob’s songs) is reflective of the theme for two reasons: 1) As followers of Christ, God calls us His friends. He chooses us, and desires that we not only experience lives of faith, but that we would have life abundantly. 2) The process of this project has been a time of just enjoying friendship and fellowship with one another. As Christ followers we are called to be a Body, and this project has been a celebration of that. I hope you are blessed by this project, and I hope that you will take these songs, worship with us, and turn these prayers (written into song) and make them your prayers. I know nowadays most of our listening is online, digitally, but if you would like a physical copy, you can purchase one online at Cdbaby or Amazon.com. Otherwise, you can purchase it digitally just about anywhere. 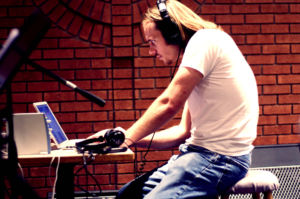 At the time of this recording, I was working cross-culturally on the Fort Apache Reservation in Arizona, while writing music, and leading worship in different settings. 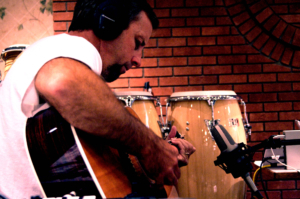 I had been leading worship for over 12 years, and writing music since I first picked up a guitar in my teens. Previously, I had ministered on staff at the International House of Prayer in Atlanta, GA, (with my awesome wife) for three years and was absolutely gripped with by the fact that God not only takes interest in little ol’ me, but delights in me and desires for me to co-labor with Him in loving the world. For me, that’s a large part of what this project is about. Bob Mabry and Bruce Goode have been friends and mentors to me for years, and I have always been encouraged by their humble example, both in their personal lives and on stage leading worship. Not only that, but I also feel that their song lyrics and worship leading styles are reflective of their personalities and passion for the Lord. While this project was a year’s journey (being pieced together here and there), it was a labor of love for me to be able to spend time with Bob and Bruce (as well as an awesome crew of musician friends) and to work on their music – which are really reflections of the messages that God is speaking in and through their lives. My music has been shaped primarily through leading worship in local churches. Initially in homes, home groups, and house church settings. That is still my favorite place to lead although I have had the privilege of leading at conferences and larger venues… there still is nothing better than a smaller group of friends who love Jesus pouring their hearts and songs out to the Lord and sensing His pleasure in meeting with us. My hope and prayer is that this compilation of songs from Bruce, Joel and I (and our amazing musical friends) will refresh you and enhance your worship experience with the source of our hope and the one who calls us together as friends… Jesus Christ. My name is Bruce Goode. My wife, Lois, and I are worship leaders at Grace Church in Show Low Arizona. 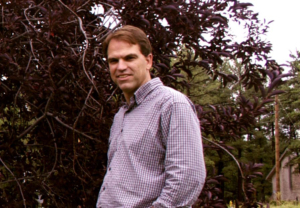 I’m a long time resident of the White Mountains; I’ve lived here and taught school on the White Mountain Apache Reservation for the past 19 years. It was 19 years ago that I walked into a church worship service in Show Low, AZ and was immediately struck by the freedom of the worship and the presence of God. The worship leader was a guy named Bob Mabry- and the worship was loud (youth sunday) but the spirit was quiet and intimate. Experiencing the presence of God together with a church full of diverse people was new. It is still new, and I am still drawn into the powerful way that God can touch us and communicate with us through music and a humble heart. It is a great honor for me to participate in this project and add one more voice to the joyful noise. Bob and Joel, Thanks for letting me ride on your coattails, and thanks Joel, for your quiet encouragement to write songs.